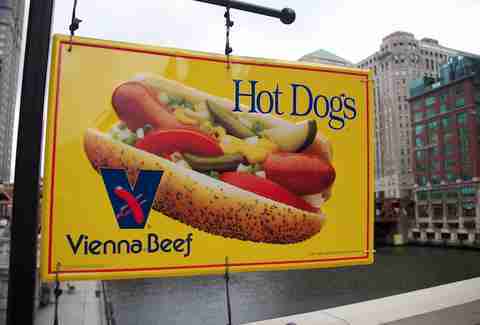 Sure, you know it’s found in hot dogs across Chicago, but that’s just scratching the surface of the enigma, wrapped in a riddle, surrounded by a mystery known as Vienna Beef. For those hungry for knowledge (in addition to beef), we've put together a list of nine things you probably didn't know about Chicago's finest meat-stuff. 1. It used to get you out of parking tickets. 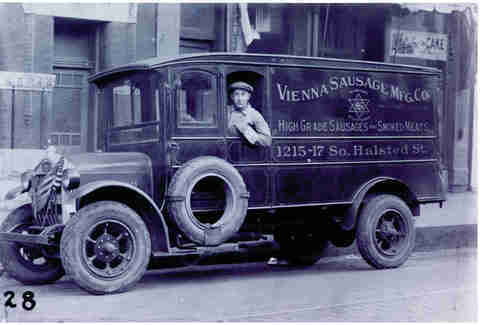 To avoid getting written up Downtown during the 1940s and 50s, Vienna Beef salesmen would tuck a salami in their pants to intimidate traffic cops under their windshield wipers so traffic cops would know who the illegally parked car belonged to. 2. It was Babe Ruth’s favorite food at Comiskey. 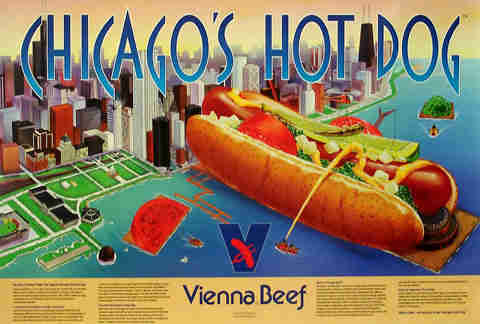 Vienna Beef hot dogs are believed to be the first hot dogs served at a major league baseball stadium. Babe Ruth routinely ate 12 pre-game dogs. You. Do. The. Math. 3. 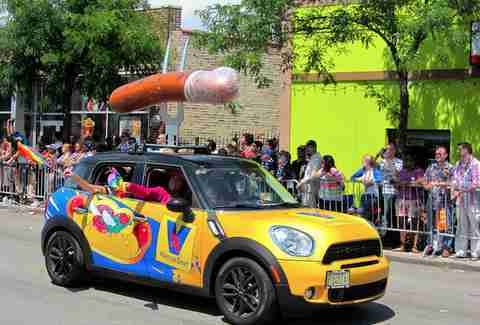 They hold the record for world’s biggest Chicago Dog. The 40ft-er debuted on Conan's show, topped with four pounds of tomatoes and onions, three pounds of pickle spears, two pounds of relish and mustard, one pound of sport peppers, and an eighth of a pound of celery salt (and if you haven’t seen Jack McBrayer and Triumph serving up dogs at Wieners Circle, it's probably because you haven't clicked here yet). 4. 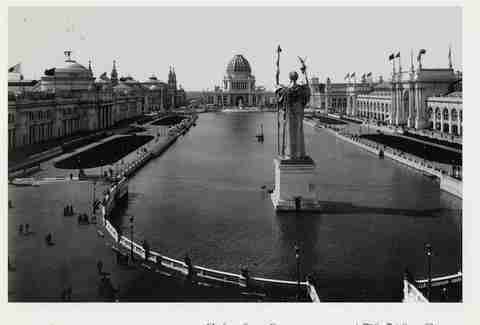 It was once served aboard the USS Chicago nuclear sub. In 1986, when men were men, and hot dogs were what you ate on nuclear subs. 5. William "Buffalo Bill" Cody used to eat the sh*t out of them. 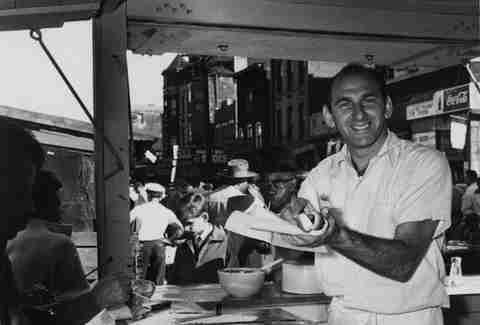 Emil Reichel and Sam Ladany immigrated from Vienna, Austria to Chicago in the 1890s, and sold enough hot dogs during the World’s Fair (that's where Buffalo Billy snagged his) that they opened a storefront by Halsted and Roosevelt. 6. Hot dogs used to cost a nickel during the Great Depression. Today, even a Coinstar machine'll judge you for bringing in nickels. 7. If you're a member of the Secret Service, we will take your hot dog away (when you ask for ketchup). West Side native Ira Helfer owns a Vienna Beef hot dog stand in Honolulu that once hosted back-then President Bill Clinton, who stopped by for lunch on a service trip. During the visit, one of his Secret Service agents asked for ketchup -- not only did Ira deny him the devil sauce, but also his hot dog. 8. They make a lot of meat. Last year, Vienna Beef manufactured over 150,000,000 hot dogs for Kirstie Alley, and that’s in addition to their other products like Polish Sausage, Turkey Pastrami, Corned Beef Brisket, Chipico Pickles, and Vienna Chili. 9. 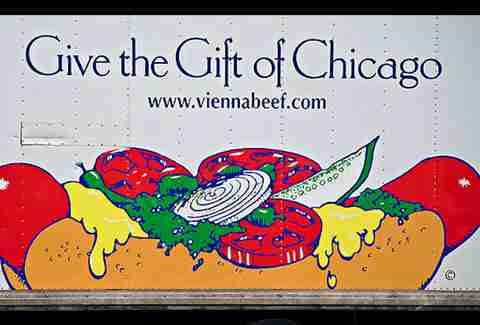 The spot moving the most Vienna Beef in the entire WORLD? O’Hare Airport. 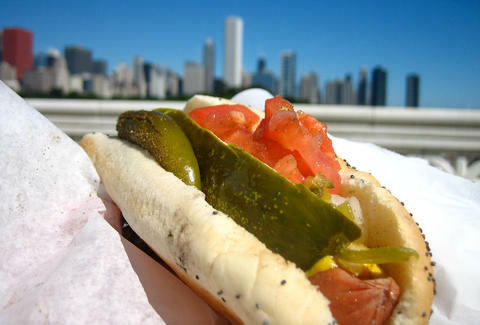 They sell more hot dogs than any location in the country, including the 100+ restaurants and stands in Chicago, or Kirstie Alley's hot dog guy.